This pickling concentrate will take your pickles up just a notch. 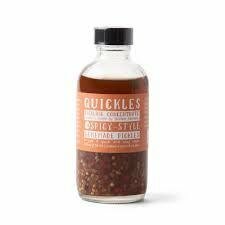 Red chili flakes give this mixture just a bit of heat that hit just the right spot if you're looking for a little extra something something with your fresh homemade pickles. Your finished pickles will be great on the side with your favorite tacos or a as a game-day snack.